Like I mentioned a couple weeks ago, I have spent 2 of the last 4 summers very pregnant, so my summer wardrobe is, ahem, lacking. Pieces that are a little fun, a little stylish, and versatile enough to wear to both the park and the office are at the top of my wish list. 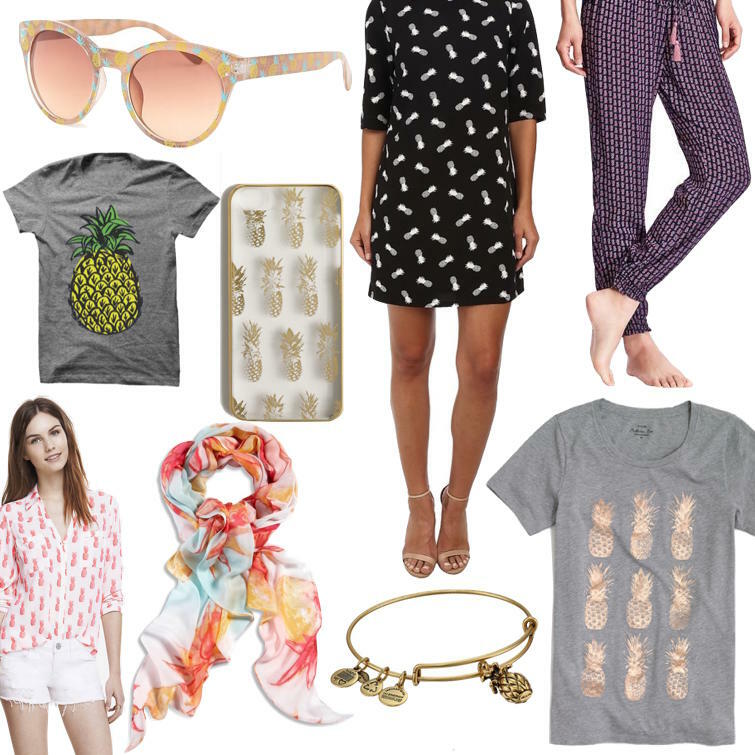 Pineapples are everywhere this season and I’ve been debating pulling the trigger on adding a pineapple piece (or two) to my summer wardrobe. Pineapples symbolize hospitality and friendship (which I can totally get behind) and, overall, they are just bright and cheerful. I found 9 really cute pieces that are all under $80 (8 of which are under $50!). The pineapple trend could easily be overkill and too theme-y but I think these pieces are subtle enough – I mean, you are still wearing a fruit print so you can’t take it too seriously, but you don’t want to look like a 4 year old vacationing in the Hamptons, either. Unless that’s your thing, then rock on. But seriously, I would pair most of these with a cute stripe pattern or ripped denim to bring a good mix of preppy and casual to the look.